How do you go from zero to sixty in three seconds? Easy: drive a Komfort. 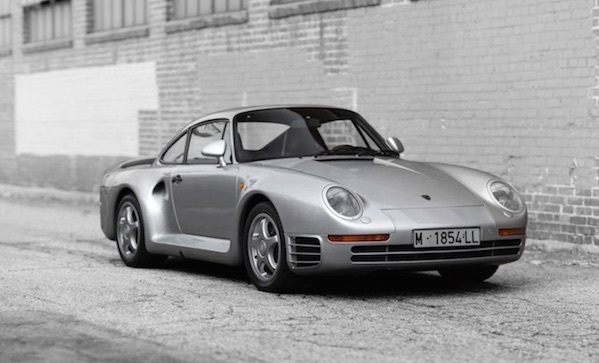 The 1988 Porsche 959 ‘Komfort’ ($1,000,000 – $1,300,000) was the most technologically advanced care of the late eighties. 450 horsepower, a 2,849 cc air- and liquid-cooled horizontally opposed six-cylinder engine sporting two-stage turbochargers, a six-speed manual transmission, a four-wheel drive, electronically adjustable ride height, shock absorber control, and so much more. Everything is original, nothing aftermarket.